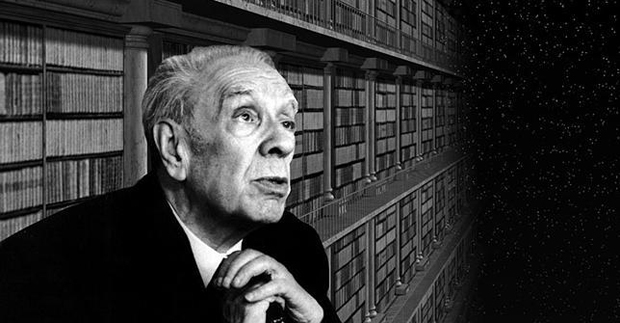 My parting shot, in the sidebar to this blog, is a quote from a poem by Jorge Luis Borges, the blind Argentinian writer and librarian: “I have always imagined Paradise as a kind of library.” This, to me, is a rather beautiful sentiment, and even hopeful. However, while it’s how Borges’s words are usually presented in compilations of quotations, and it turns them into something that can stand alone, it’s loosely translated. In fairness to the poet’s memory, here is the whole of his ‘Poem of the Gifts’ (1958), with the original words in their proper context. The translation is by Alastair Reid, and the poem is one that every bibliophile should know. It addresses the progressive blindness that began to afflict Borges shortly after his appointment as director of the National Library of Argentina in succession to Paul Groussac – who, strangely, was also blind. now gone, these many books, He too was blind. Where have you been hiding? What an excellent post. I like … very much. I’m Wyatt, pleased to know you! Thank you for the kind words. They’re very much appreciated. I don’t try to hide. When some of the essays appeared on the Smithsonian site, they did pretty well; the “Lost in the Taiga” post has cleared 3 million hits there to date. But for the most part the stuff I tackle is obscure, and I suppose that that’s the way I like it. It’s also been a quiet year, due to circumstances beyond my control – mostly to do with a daughter at a critical stage in her education. But my schedule clears dramatically from next month and I have a lot of great material researched and backlogged. I want to get back to a more regular posting schedule from June, and that may help a little, too. Honestly, I can’t wait … the English teacher in me (with a B.A. in History) loves good writing! Eerie, indeed — all those books, written by all those people who have come and gone (to their respective paradises?). Libraries are beautiful, spooky places… Lovely post, thanks for sharing! Wonder how he would have felt about the rekindling of the Alexandrian Library?